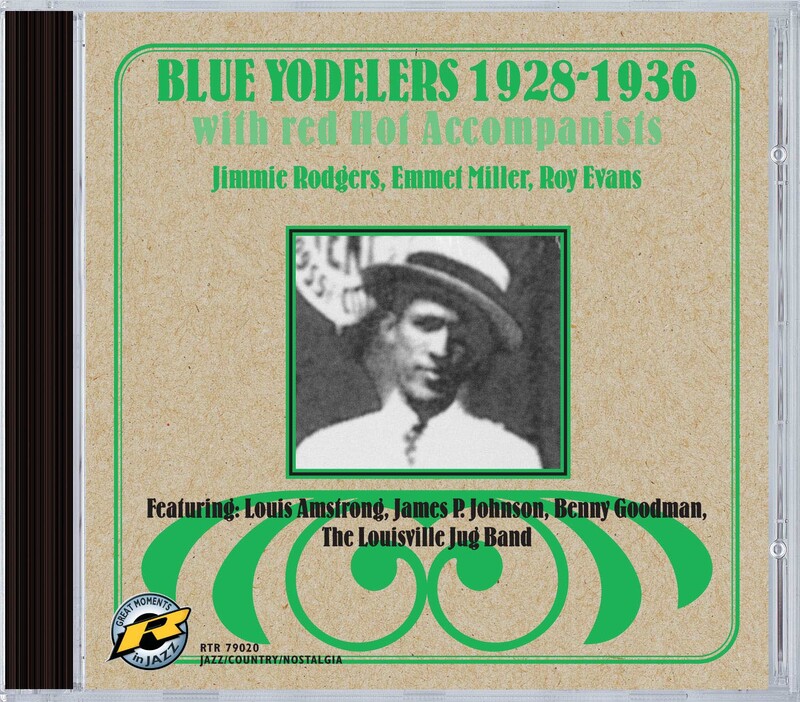 Many jazz fans are aware of the strange fact that the "Father of Country Music", yodelling Jimmy Rodgers, recorded one side (included here) with none other than Louis Armstrong. They may not be aware that he made a much rarer side with The Old Southern Jug Band, also included here along with several other titles that have good jazzmen accompanying his odd fusion of black blues and what was then termed "hill-billy" music. They could also be ignorent of the fact that the black Roy Evans, who followed in Rodgers' path, could boast of the likes of Benny Goodman, James P. Johnson and Garvin Bushell playing at their considerable best behind him. Anyone with open ears who finds some of jazz's more unusual side-tracks intriguing will find plenty to please them here.